This lovely mobile in the Burnum MHP would be a great family home! 3 bedrooms and 2 baths, updated flooring, beautifully landscaped yard with water feature and stone walls, workshop, barn board feature wall, newer bathroom fixtures, open living/dining space with natural gas fireplace, and a large laundry room. If you are looking for your new home, make sure to check this one out! Call today! Kelli's career in real estate started at age 27 after 8 years in the insurance industry. She partnered with her father in 2005, creating a third generation of realtors in the family. Kelli's business plan is simple: the client comes first and foremost, and she looks forward to making her clients' needs a priority. Having been raised in the Cowichan Valley most of her life has given Kelli an extensive knowledge of the area and a deep appreciation for all the Valley has to offer. Kelli has been married for 18 years to her husband Ian, and together they are raising two beautiful daughters. Kelli and Ian have built two wonderful homes, giving her firsthand knowledge of the construction process and how to make savvy building decisions. Ken began in the logging industry before coming to the Cowichan Valley to raise his family with his wife Nance of 44 years. Here he worked as a restaurant operator, volunteer firefighter, and now, a second generation realtor. With over 20 years of real estate experience and a lifetime of real estate knowledge, Ken's business plan is the same as his daughter Kelli's: the client comes first and foremost. Ken believes in honesty and integrity when dealing with his clients and in always going the extra mile for them. Why choose Ken and Kelli? Whether it’s a waterfront property, a farm, bare land, a retirement home or you’re a first time home buyer, our team is ready to assist you with all of your real estate needs. 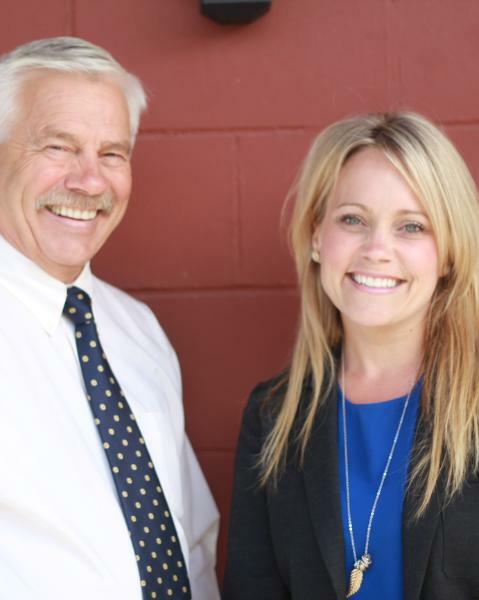 With our 35 years of combined real estate experience, as well as Ken’s certification as a Senior Real Estate Specialist® and Kelli’s background in insurance, we truly have you covered. Our continued education through the Real Estate Council of British Columbia keeps the Ken & Kelli Team up to date with all the legalities of our ever changing real estate market.